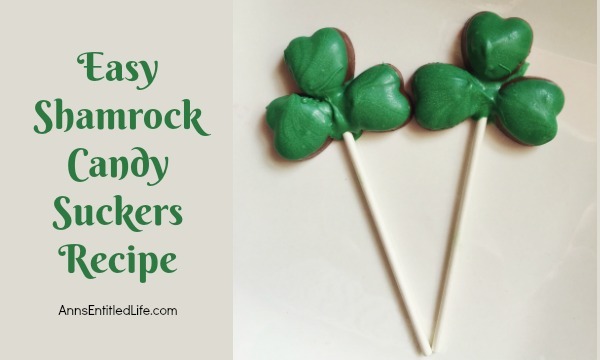 These easy to make shamrock candy suckers will be a huge hit at your St Patrick’s day get-together. They taste great, come together in seconds, and are perfect for gifts or a special treat. Did you have leftover Valentine heart candy? Heading out for clearance candy? 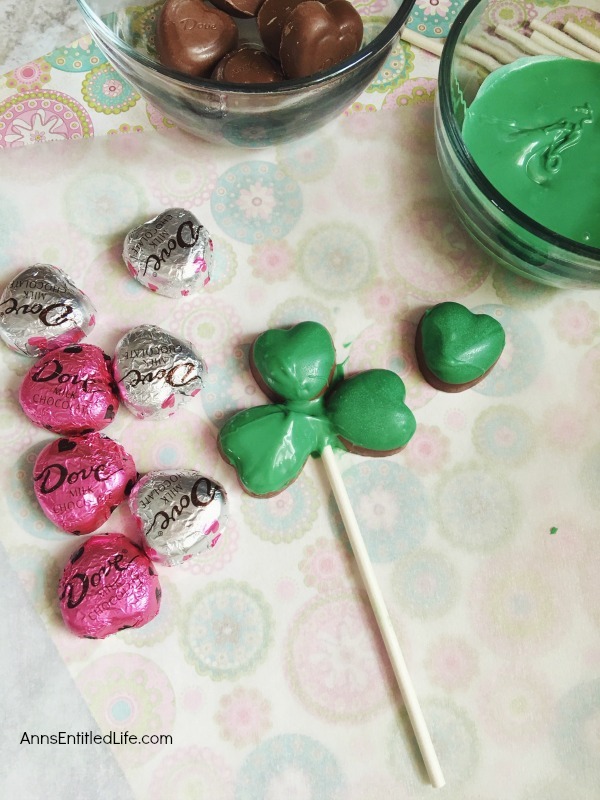 Well, use those heart shapes to make these super cute, and simple to put together shamrock chocolate candy suckers! Seriously, just a few minutes and you will have adorable shamrocks (clovers) for St. Patrick’s day!! Wrap them in cellophane to keep fresh and to give as gifts. 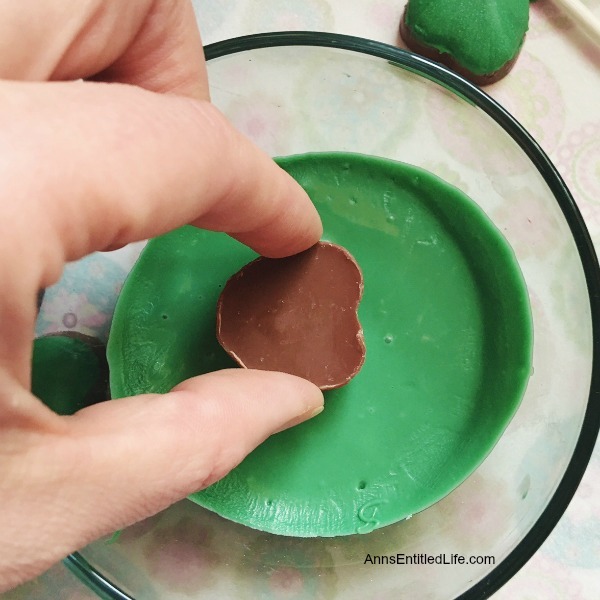 Follow the easy step by step instructions below to make these sweet and easy shamrock candy suckers! 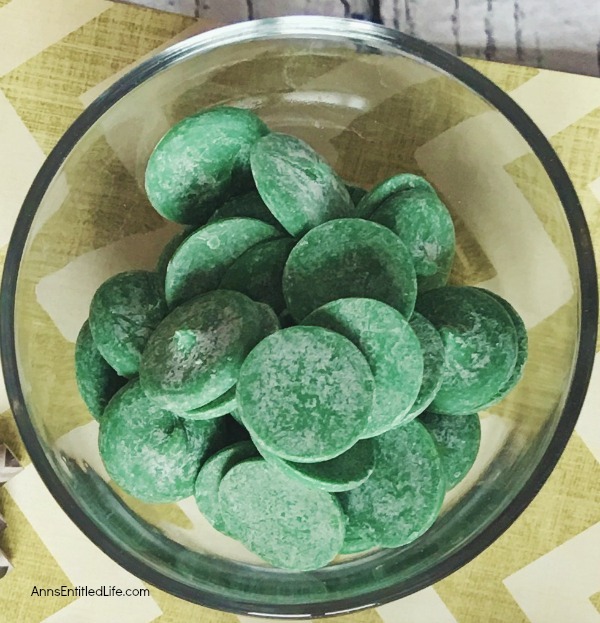 • Place your dark green candy melts in a microwave-safe bowl and heat in the microwave for approximately for 3-4 minutes at 50% power, stirring every 30 seconds until completely melted and smooth. • Hold the chocolate heart with your fingers with the top facing down and dip the top section into the candy melt. Leave a small amount of the chocolate showing. • Place on wax paper. • Repeat the chocolate dip with two more chocolate (you need three to form a shamrock). • Place the bottoms of the hearts in the candy melt and connect them all together. • Dip the lollipop stick in the candy melt and place in the center of the three hearts. Use the stick to add a little candy melt to the top of the sucker where the hearts connect to make certain they are secure (they will harden together). • Allow to harden (approximately 15 minutes). 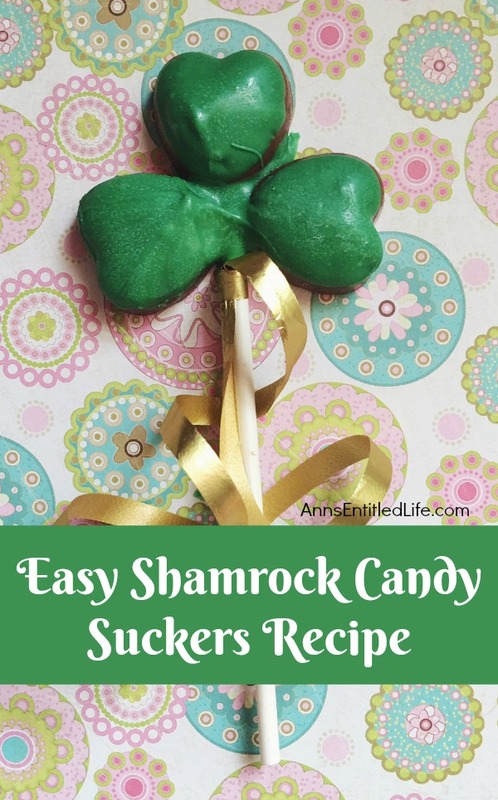 • Place a cellophane bag over the shamrock candy sucker and tie with a ribbon. • Dip the lollipop stick in the candy melt and place in the center of the three hearts. Used the stick to add a little candy melt to the top of where the hearts connect to make certain they are secure (they will harden together). 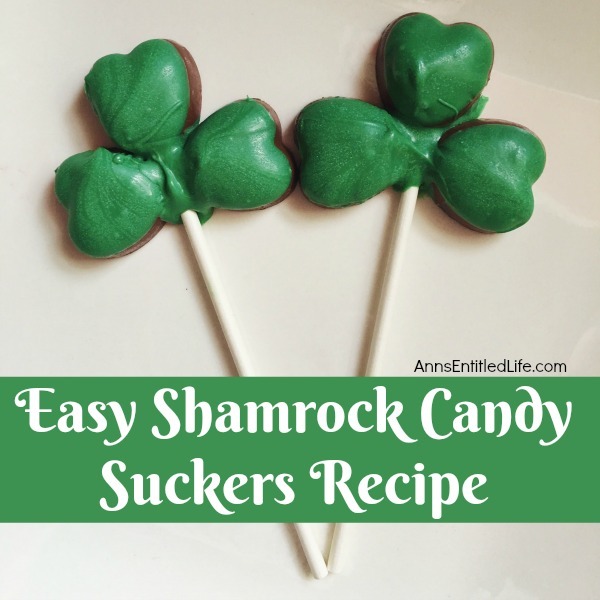 • To print the Easy Shamrock Candy Suckers recipe, click here. What a fabulous idea, Ann! 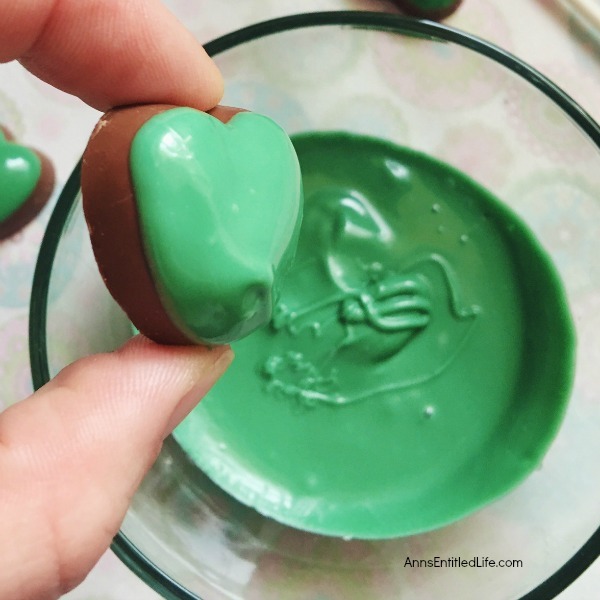 I love the idea of using up leftover Valentine’s candy and these are just perfect for St Patrick’s Day. Thank you so much for sharing and for being a part of the Hearth and Soul Link Party. Have a wonderful week!